IT managers don't trust their employees when it comes to updating. More than a third (38 per cent) of enterprise IT teams leave it up to individual employees to install updates on their work devices and machines. That’s according to a new Kollective report, The State of Software Distribution. Based on a poll of 260 IT managers, leaders and decision-makers, the report argues that troubles with bandwidth and poor infrastructure are forcing businesses to leave updates up to employees, which is a less than ideal scenario. 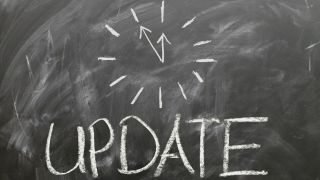 According to the report, two thirds (66 per cent) of enterprise IT teams are not yet able to automate the distribution of updates, while a third (34 per cent) struggles to distribute updates over their networks. The report states that these problems could be solved by using an SDN, but just 18 per cent of managers believe they could adopt this tech before 2020. Despite leaving updates to the employees, there’s still an issue of trust. More than a third (35 per cent) of IT managers don’t trust employees to run updates and 37 per cent list ‘failure to install updates’ as their biggest security threat this year. “The idea that companies with thousands, or even tens of thousands, of computer terminals are still leaving it up to their employees to manually download and install updates is extremely concerning,” comments Dan Vetras, CEO of Kollective.